Monopolizing works for most of a century after the life of the author is bad policy. It harms creativity, making it expensive and risky for authors, filmmakers and other creative types to make new works from what came before. Copyright should be a balance between making sure creators get rewarded, and that the public can access the works. 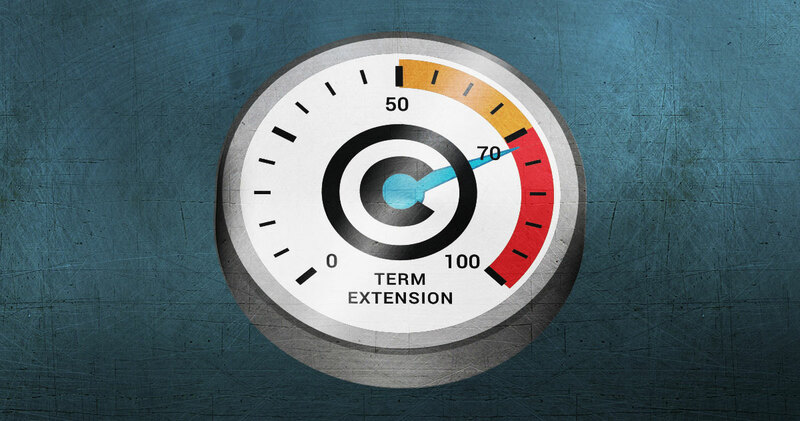 Never-ending terms don’t square with the constitutional purpose of copyright, which is to allow exclusive rights for limited times, in order to “promote the progress” of learning and the arts with new creative works. When it comes to copyright, national legislatures around the world are too often swayed by big content owners. But if these bad policy decisions are baked into trade agreements, the situation will get even worse. At least when elected lawmakers blow it by carving out a bad deal for the public, voters can hold them accountable. Deciding copyright policy through opaque trade deals means that voters in democracies around the world will have much less power to correct their governments. It’s exactly the wrong direction to go, especially when one considers that the U.S. is finally on the verge of re-building its public domain. Canadians will pay a price for this trade deal. Works that should have slipped into the public domain, lowering their price, now will stay locked up by copyright owners. Not everything in the USMCA is as obviously wrongheaded as the policies on copyright terms, though. For instance, it extends a provision of U.S. law that we strongly support— Section 230, which grants immunity to platforms for most of their users’ speech. We’ve always supported Section 230 as a strong pro-free-speech law, which prevents Internet platforms for being taken offline or bankrupted because of the bad actions of a few users. We’ve advocated for protecting it in Congress, and we’re suing to invalidate FOSTA, which undermines Section 230 in an unconstitutional way. Unfortunately, FOSTA has also undermined the Section 230 provisions in this new agreement, as the language of USMCA now accepts that intermediary liability laws in signatory nations can have exceptions like FOSTA. The United States has been pushing for stronger intermediary protection in free trade agreements for years, but this time its negotiators had to weaken their own position in order to accommodate the short-sighted passing of FOSTA back home. Good idea or not, however, trade deals just aren’t the right place to make society-wide decisions about non-trade issues like copyright terms, and how the Internet should function. Citizens should be able to give input, and hold their lawmakers accountable when bad policies get passed. None of that happened here. Differences in laws aren’t a bug; they’re a feature. Countries should be able to design copyright laws and exceptions based on what works for them, and learn from others when they see systems that work—not have unsatisfactory solutions pushed upon them through trade deals.